Human Health Organization and Human Health Organization Foundation, collectively or individually abbreviated as HHO, are non-governmental, non-profit organizations based in the United States with a network of members and collaborators located in different countries around the world. 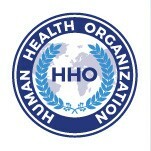 HHO was initiated and advocated by the renowned Chinese educator Ms. Su Lin and created out of the joint efforts of leaders from multiple disciplines - prominent health professors, scientists and physicians, successful business people and civil society activists united with the objective of addressing global challenges to human health. Based on the principles of positive health, conventional and traditional medicines, HHO advocates health education and academic research, advances health culture, promotes good nutrition, healthy products and lifestyles, facilitates the development of healthy and sustainable human settlements. HHO collaborates with the scientific community, civil society, businesses and governments in countries around the world, as well as international and regional organizations towards achieving results in the identified areas, in the context of the goals and targets of the United Nations 2030 Agenda for Sustainable Development. Let health and wellbeing be with everyone on Earth, and the humanity be with a healthier and brighter future.